Mills Custom Homes is San Jose's favorite remodeling contractor for residential custom home construction serving San Jose and nearby areas. We offer full contracting services including bathroom and kitchen remodeling, complete renovations, new custom home construction and more. As general contractors in the San Jose area of California, we offer you a wide variety of architectural styles and many options for remodeling your home in the South Bay and Silicon Valley Region. We're very familiar with our area and have developed a quality reputation with all our customers that we value a great deal. When you choose Mills Custom Homes as your home remodeler or renovator, you'll be in the best of hands and receive the utmost respect which includes excellent customer service and first rate workmanship. We strive for high performance building to meet your extraordinary needs. Trust in our San Jose remodeling contractors and your new space will be comfortable and functional as well as a beautiful place you'll love to show off. We can take your bathroom from boring and disfunctional to beautiful and luxurious. 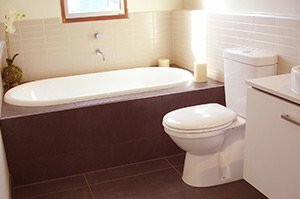 If you're wanting a bathroom space that you can completely relax in and enjoy, let our remodeling contractors in San Jose take care of your needs. We'll work with you from beginning to end to design a remodeling plan that fits your style, timeframe, and your budget. You're bathroom will be functional and beautiful when you choose Mills Custom Homes. We've helped many homeowners in the San Jose area with their bathroom remodeling and would love to help you with yours. When you're looking for a general contractor you can trust and who can deliver what you're looking for or hoping to have in your new bathroom, you will find what you need with us. Our contractors are a team that can provide you with many new options in bathroom fixtures, lighting, new technologies, flooring, cabinetry, and countertops. 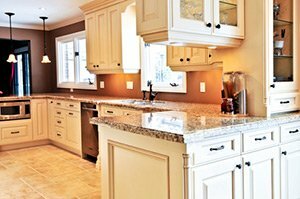 With Mills Custom Homes, you'll have experts ready to help you with your kitchen remodeling. We have many ideas to bring your kitchen into the current century with gorgeous options in lighting, natural stone or composites, beautiful appliances, and high quality, durable materials. Whether you're planning a partial kitchen remodel or full, we have you covered to bring about a change you'll enjoy with your friends and family for many years. If you're worried about design or how to go about planning your kitchen remodeling project, put the worry out of your mind because that's what we're here for. As premier builders in the San Jose, greater South Bay, and Silicon Valley areas, you'll have a general contractor who knows the area and can handle all your details including permitting, code compliance, managing subcontractors, and more. Your kitchen remodeling will be done on time and you'll have a contractor who knows how to stay within your budget. When you're wanting to change your extraordinary home, you need a builder who can handle your projects with the utmost of care and full services so you don't have to worry throughout the process. We bring you that expertise here at Mills Custom Homes. Our focus is on the entire project, giving you everything we can to ensure your experience is worry-free and fits all your needs. You are and always will be our first priority at Mills Custom Homes because we know that otherwise there is no way we can be a successful San Jose company. As a customer oriented business, we strive to develop quality relationships with our clients. That means that at all times we're paying close attention to you as a customer and work hard to give you everything you expect and deserve. For quality construction, first rate customer service, and an experience you're going to enjoy, call on our custom home builders and remodelers at Mills Custom Homes! We are a fully licensed general contractor company of professional remodelers, renovators, and new construction builders. We are licensed by the State License Board of California, license #971870. In the midst of all of the many things you need to consider during your kitchen remodel, an important one is what kind of countertop you'll get. Luckily for you, there is a wide variety of countertop options to choose from, so you're sure to find the perfect countertop for your San Jose kitchen. After all of the excitement surrounding the holidays finally passes, there are many homeowners out there who find themselves in need of some kind of project or activity to look forward to, and with spring just a few short weeks away, we are right on the cusp of one of the best remodeling times of the entire year. If you are looking for a remodeling contractor in the San Jose area then please call 408-836-6767 or complete our online request form.